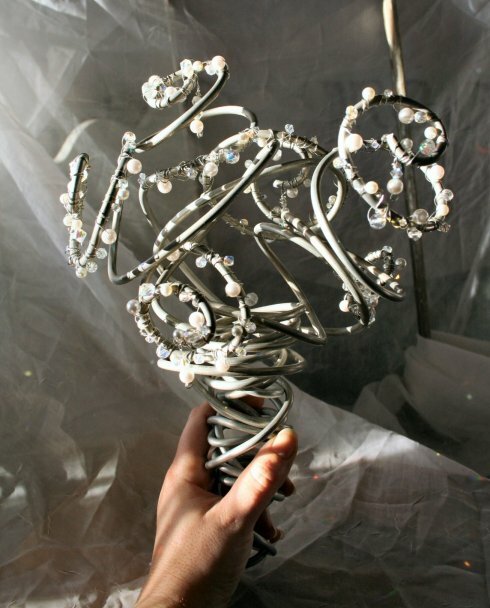 Looking for an alternative idea to the traditional wedding bouquet? We have found some revolutionary ideas sure to impress everyone at your wedding. For a bride who is looking for a different and off-beat wedding, here is a way to start! 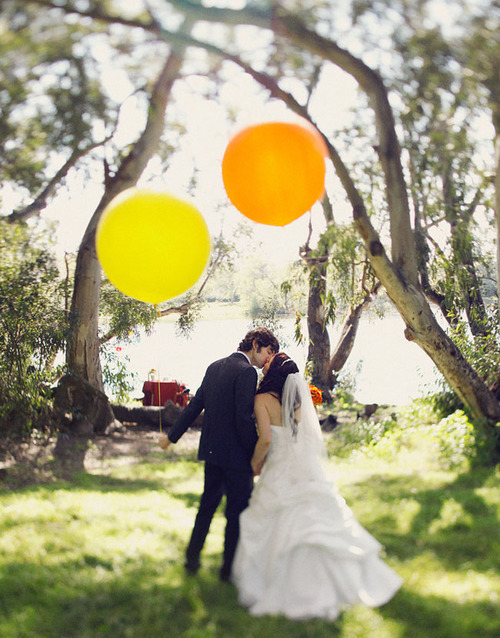 This is very cute for a spring or summer wedding; bride, groom, bridesmaids, and groomsmen holding balloons adds a “pop of color” and is great for a casual wedding. 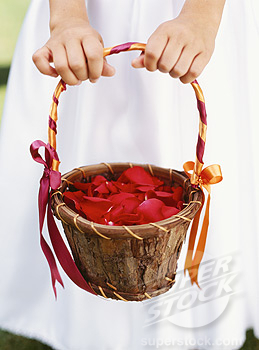 Baskets are great idea for a simple outside or country style wedding; not just the flower girl, but bridesmaids and the bride can hold baskets with ribbons and petals. 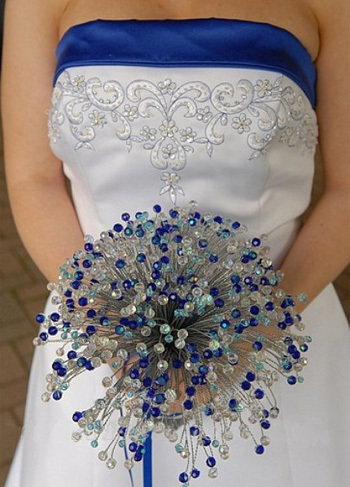 Made with beads, this is a beautiful way to incorporate wedding colors in a special way. 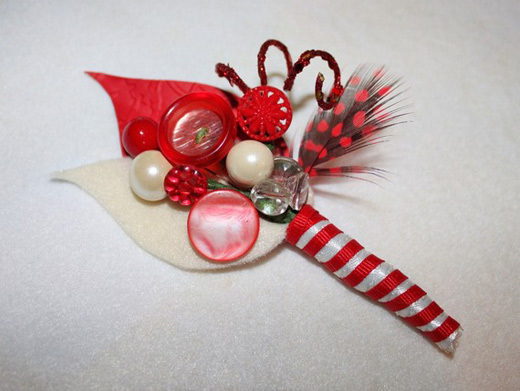 This is an easy alternate idea to flowers; simply using feathers, buttons, pearls, jewels, and ribbons, this is can look super cute in a budget friendly wedding. 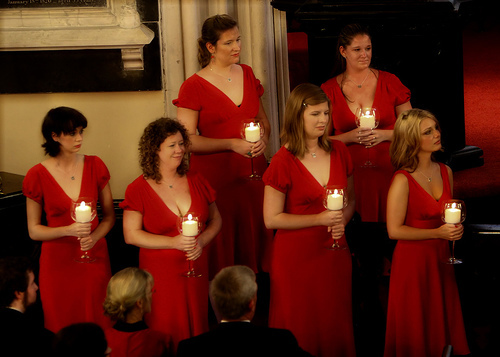 Having bridesmaids carry candles instead of bouquets looks beautiful and elegant; this would look gorgeous illuminating the inside of a church. 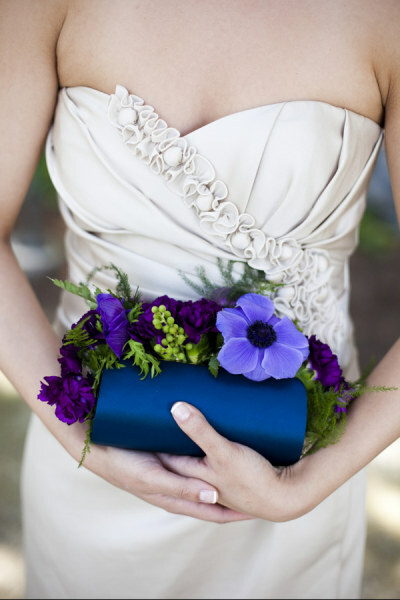 Clutches instead of bouquets has become quite popular; bridesmaids can carry plain clutches, while the bride can carry a clutch with flower embellishments. 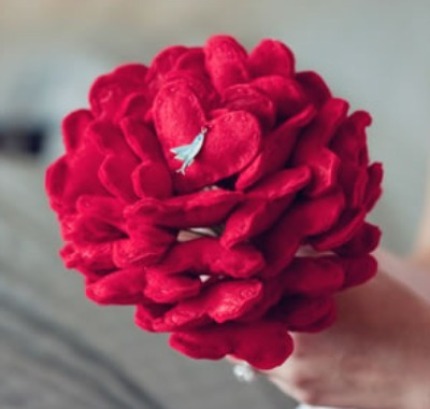 These are felt hearts bunched together to create bouquet; what a cute idea for Valentine’s wedding! 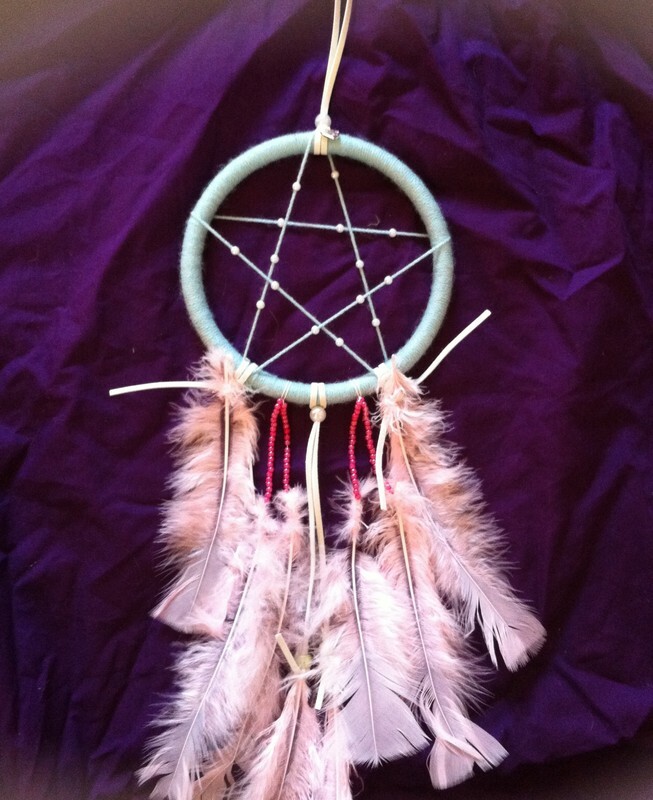 Having your bridesmaids carry dreamcatchers is perfect for your dream day! Refined and always classic, carrying fans will never be an old tradition; although, we don’t see it often enough these days! 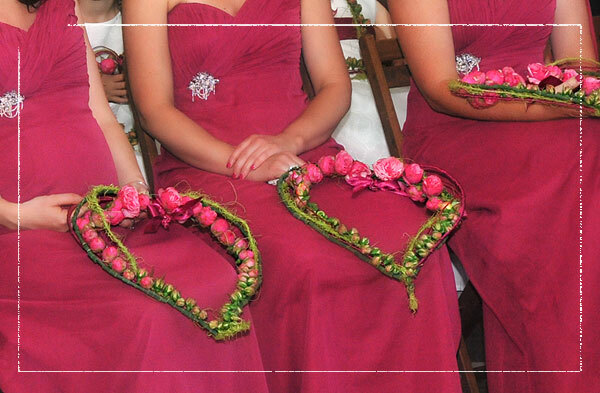 Incorporate the universal symbol for love, have bridesmaids carry hearts made of ribbons and flowers or wood. 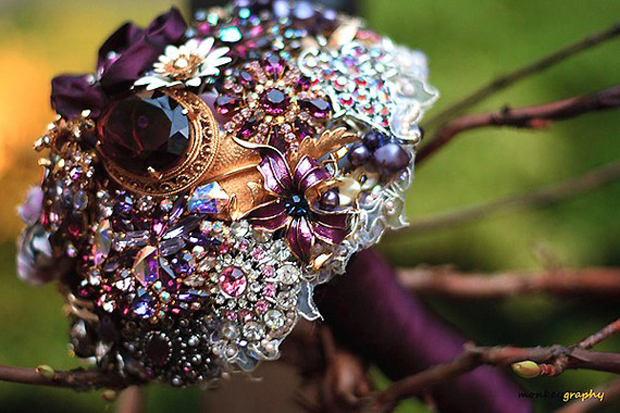 This can be made with old jewelry and pendants you have laying around the house or find at the thrift store; every bridesmaid can have their own unique jewels on theirs. 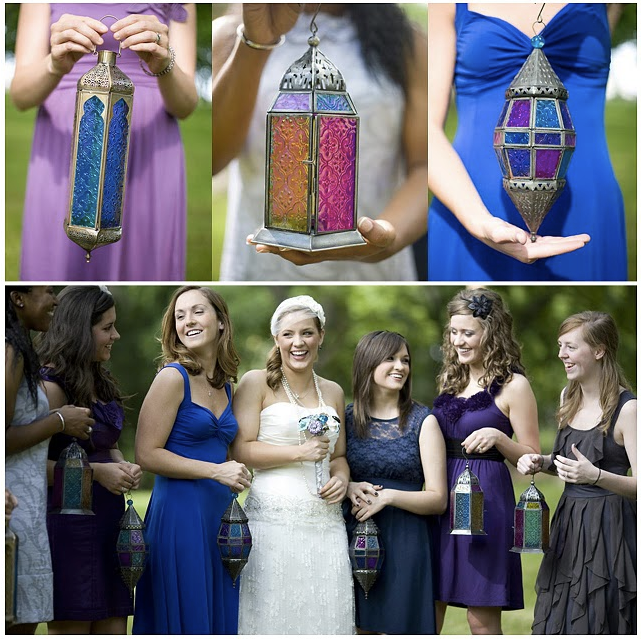 Lanterns look so pretty in an outdoor wedding, especially stained glass lanterns because they are colorful and chic. 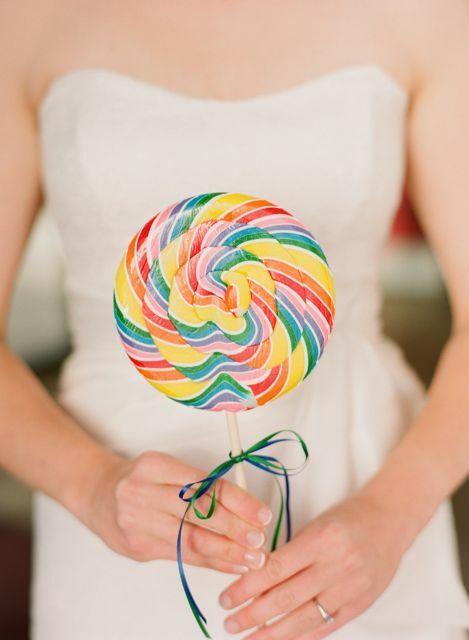 Since they are so colorful, lollipops are fun, playful, and perfect for a casual spring or summer wedding. 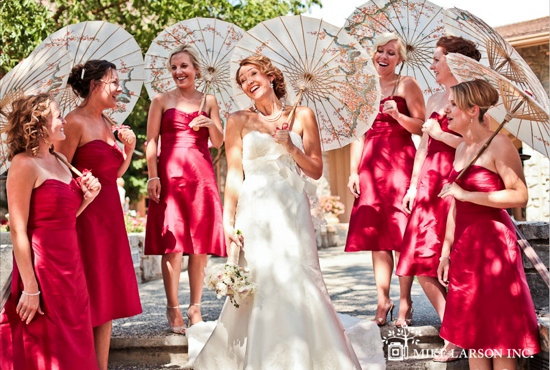 Parasols are yet another classic and sophisticated option; they are prefect for a spring, summer, or southern style wedding. 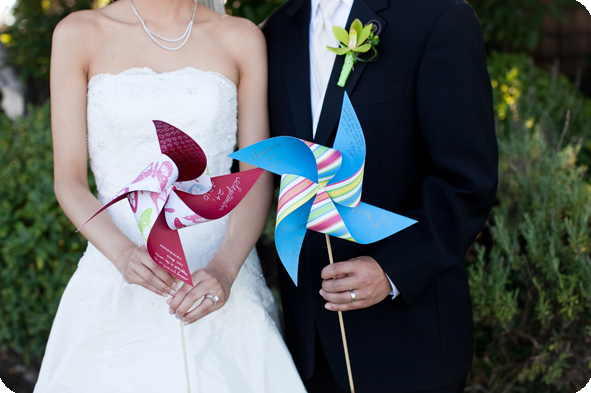 Pinwheels are fabulous for a spring or summer casual and breezy wedding. 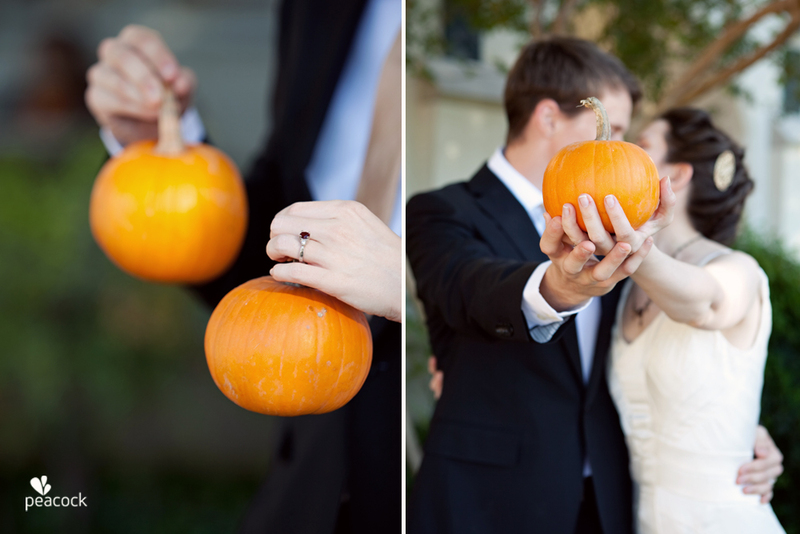 Holding little pumpkins is such a darling idea for an autumn wedding. 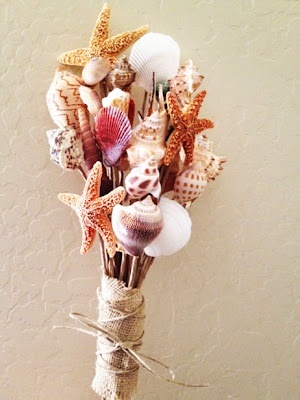 This is such a cute idea for a casual beach wedding; glue seashells on wood or bamboo sticks, wrap with burlap or jute fabric, and tie off with twine. 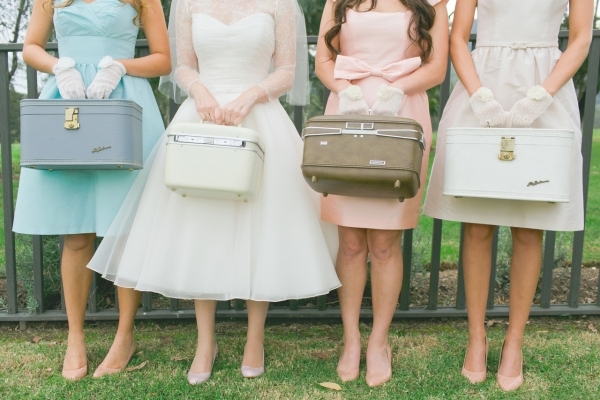 Love this creative idea of carrying luggage for a vintage or travel inspired wedding. 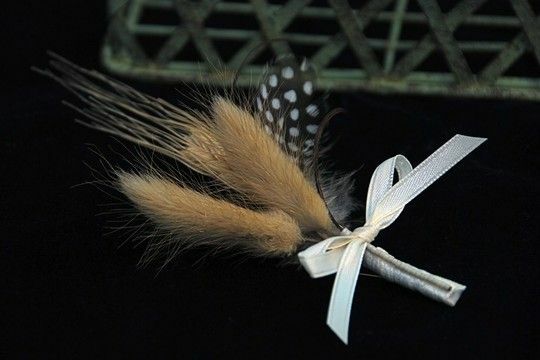 Wheat, a feather, and ribbon make a simple and cute bouquet for a country or simple wedding. Twisted wire with beads or pearls looks very cool, different, and unique; this could look so beautiful in a winter wedding with a dark color scheme. Revamp the traditional bouquet with a wreef; still staying a bit traditional, wreefs can be a lovely substitute for bouquets. 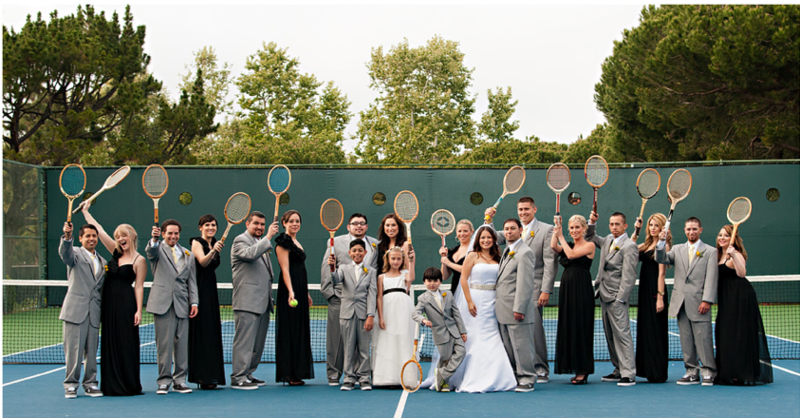 For the sporty couple, have your bridesmaids and groomsmen carry tennis rackets, baseball bats, etc. for a fun and sport themed wedding; these can always be spruced up with ribbons on the handles, paint, or writing a personal message, wedding date, song lyrics, etc. on the object. Not only can a lot of these ideas help you save money, but many can be an easy D.Y.I. project as well.